Australian media has an extensive history, which shows that it has played an extensive and very significant role in introducing the population of the world to the media, a popular means of entertainment. Australian media has been a pioneer in the world regarding introducing audiences to the television, print media and the radio and most recently, the Internet. Media in Australia has a long history, hence, it is not unusual to find television and radio sets in all households within the Australian community, even in the outback area. The media is made accessible to the Australian audience, especially through 2 major broadcasting services within the country, namely the Special Broadcasting Service and the Australian Broadcasting Corporation. 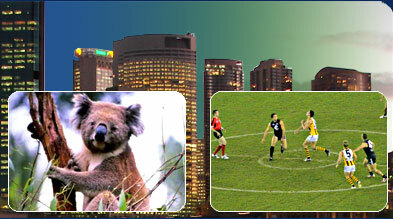 Both these corporations are well-known agencies, providing quality-broadcasting services to the Australian audience. These broadcasting agencies mainly operate in the areas of radio, Internet and the free-to-air television. Like most other countries across the globe, Australian audiences had access to only the press as the very first form of Australian media. Although, the press in Australia had started its operations with just few national newspapers, today its coverage includes nothing less than 12 national newspapers, 35 daily newspapers in various regions and some 470 other gazettes published periodically in various parts of Australia. Some of the most famous and widely read of these Australian newspapers are The Australian, The Age, The Australian Financial Review and The Sydney Morning Herald. Over its long course, the Australian press today, has successfully satisfied Australian's curiosity in all fields ranging from, politics, leisure, fashion and current affairs. Apart from the regional and national editions, the Australian press also publishes magazines that cater to almost 80000 readers across the country. Television was the second form of media that found its way into the Australian homes. The first record of television, being watched as a popular means of entertainment was in New South Wales and Victoria in the year 1956. However, it was a little later in 1971, that the northern Australia found access to television as a popular form of entertainment. Australian television is governed by 3 major networks called Nine Network, Network Ten and Seven Network. All 3 networks work in collaboration to provide television services in the major cities of Australia, while smaller territories are served by either 2 or 1 of these Australian networks. Australian networks have been providing digital television communication since 2001. Pay television is accessed by almost 25% of the Australian community. Radio has become a part of the Australian media since 1932, when the Australian Broadcasting Corporation had first aired Talkback Radio in Melbourne. Australian radio has come a long way ever since, and today almost 264 stations cater to the Australian community. On the administrative front, Australian media is regulated by the Australian Communications and Media Authority, which is the main governing body behind the Australian radio and television. The Broadcasting Services Act of 1992, are the new set of revised rules and regulations that govern media ownership rights in Australia.